Whenever I'm out at thrift stores, estate sales or flea markets I always seem to gravitate toward cutting boards. 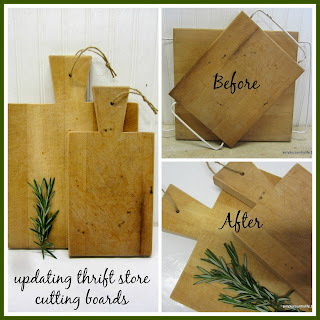 There are so many ways that you can update or repurpose them. I've either painted or just updated them in the past, but kept the original shape of the cutting board. This time I decided to change the shape. I started out with two chunky cutting boards that I picked up at a thrift store. I removed the feet and the metal handles. so that I could cut them into a different shape. then used a drill press to drill a hole in the top of each board. and then gave them a good scrubbing. Lastly, I added a piece of jute twine to each board. and have plenty of cut marks in them. The possibilities are endless with the shapes that you can make. Here's another cutting board that I cut into a new shape. This board became a little piggy. and then drew it larger onto a piece of paper. 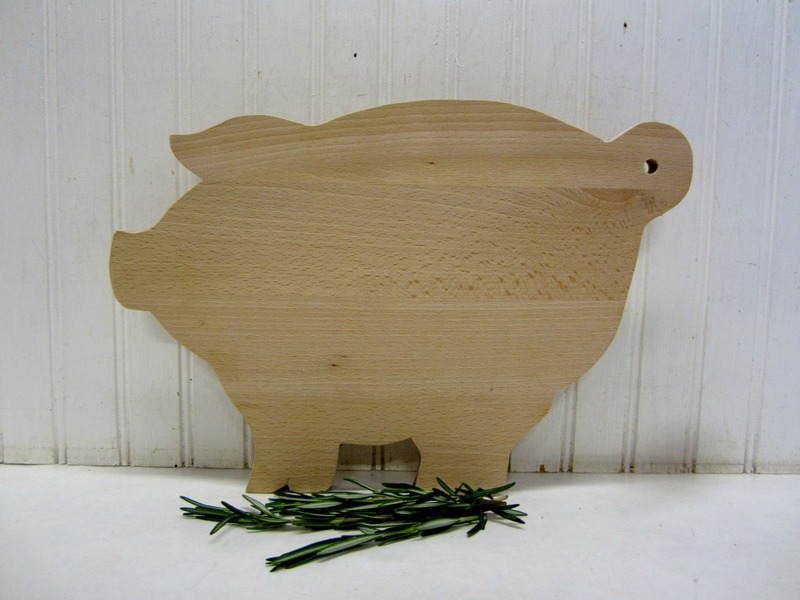 I cut out my pattern and traced the pig shape onto the cutting board. and used the drill press to drill a hole in his tail. that do not require power tools click here and here. These fun cutting boards are available in my Etsy shop here. do you have a collection of them on display in your home? I have a few that I use and a few that I have for display on a counter in our cabin. OMG what a brilliant idea, so darn creative! 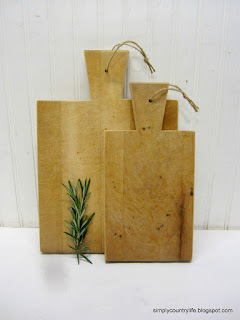 super cute cutting boards Adina! A band saw is a tool I don't own... no room for it in the shop. Awesome, I love these and am sharing them on Facebook. 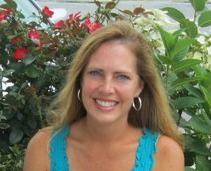 Thanks for linking up to The Talk of the Town party! Wow! You are so creative! I love the cutting boards, the pig especially! 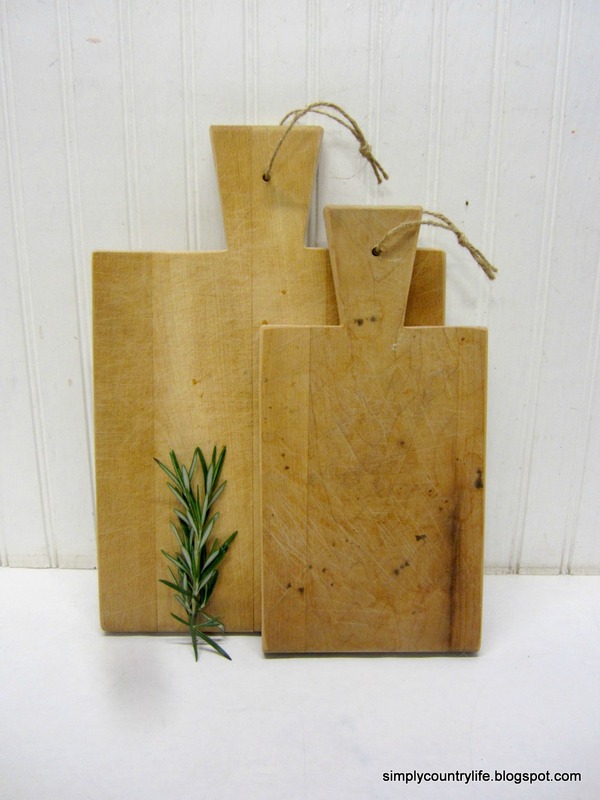 I have been collecting old cutting boards but never thought to make my own. Probably good that I don't because I don't know a thing about using a saw! I just love the pig...it is such a cute design of a pig. Just visited your Etsy shop and LOVE it too!